Now that we understand how to read the candlesticks, let ’s turn to market structure. 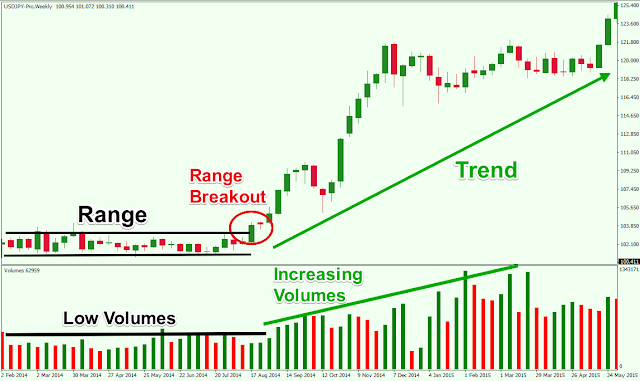 The forex market has three segments: trend, range, and breakout. A trend can go either up or down. A trend that is moving upwards is called an uptrend. A trend that is moving downwards is called a downtrend. An uptrend is identified as prices having a series of higher highs and higher lows. The highs are the peaks that prices reach intermittently. The lows are the valleys that prices fall to before heading up again. Hence, an uptrend is formed when there is a series of highs going higher and a series of lows going higher. A downtrend has prices moving in a series of lower highs and lower lows. 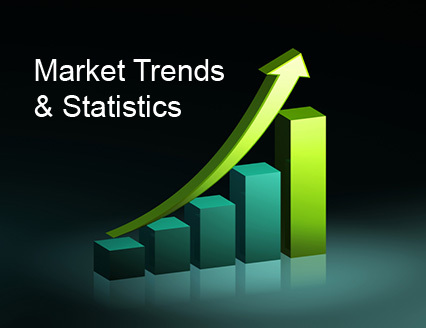 Traders use a trending strategy when the market is moving in an uptrend or a downtrend. When the market is in an uptrend, we would go long. If the market is moving in a downtrend, we would go short. Trend lines are lines that are drawn to show the prevailing direction of price. They are visual representations to give us insight into where prices could go next. In an uptrend, we draw a trend line by joining the significant higher lows. In a downtrend, we draw the trend line by joining the significant lower highs. The steeper the angle of the trend line, the stronger the momentum. However, it is important to note that trends with steep angles are very often short-lived. In an uptrend, it is easy for us to conclude that prices rise because there are more buyers than sellers. However, this is not true. In the forex market, the number of contracts bought always equals the number of contracts sold. As an example, if you want to buy five. sell only at a higher price. The price moves up because the intensity of the buyers’ greed overpowers the fear and anxiety of the sellers. The uptrend starts to fail only when buyers refuse to buy at higher prices anymore. In a downtrend, the sellers are in control because they don ’t mind selling at a low price. They sell low because they expect prices to drop even further. Buyers are nervous in a downtrend, and they agree to buy only at a discount. The price moves down because the intensity of the sellers’ greed overpowers the buyers’ fear and anxiety. The downtrend starts to fail only when sellers refuse to sell at lower prices anymore. 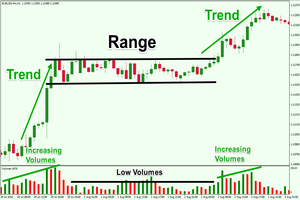 A range occurs when the price is trading in a channel between two borders. Using an analogy of a bouncing rubber ball, the price seems to “bounce” between a floor and a ceiling. The ceiling is called an area of resistance while the floor is called an area of support. A breakout occurs when prices push above the resistance area or below the support area after bouncing between a trading channel for a period of time. 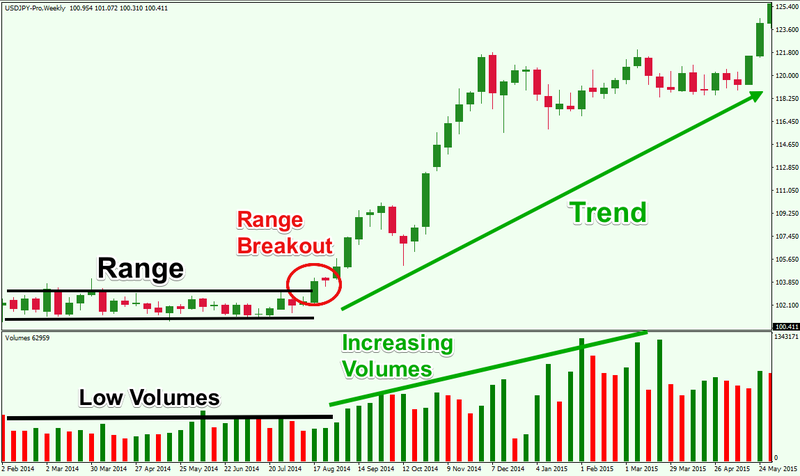 Momentum is greatest on breakout points; hence traders tend to capitalize on these specific movements by going long once prices break upward from a trading range or by going short once prices break downward from a trading range. Traders make money in the forex market by entering long and short trades. Traders go long on a currency pair when they expect the base currency to rise against the counter currency. Traders go short on a currency pair when they expect the base currency to fall against the counter currency. 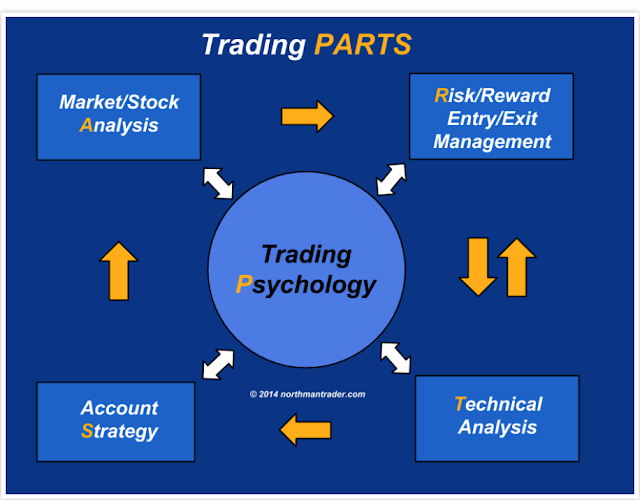 There are essentially three points in every trade: entry price, stop loss, and profit target. The entry price is the price at which the trade is triggered. The stop loss is a level to cut the trade with a loss when it doesn’t go the intended way. The profit target is a level to exit the trade with a profit when the market moves the intended way. For a long position, the profit target is located above the entry price, and the stop loss is placed below it. For a short position, the profit target is located below the entry price, and the stop loss is placed above it. Brokers charge a fee for every long or short trade executed on their platform. This is termed the spread. In general, spreads are lower for the most liquid pairs, such as EUR/USD and USD/JPY. For long positions, traders would execute on the ask price and exit on the bid price. For short positions, traders would execute on the bid price and exit on the ask price. against the weakest currency at any point. If we pair the strongest currency in the numerator against the weakest currency in the denominator, the result will be a strong uptrend. In such cases, it is prudent for traders to go long. If we pair the weakest currency in the numerator against the strongest currency in the denominator, the result will be a strong downtrend. of the shadows (the highs and lows) and the lengths of the candlestick bodies.